Robert Fleishman is Senior Of Counsel in the firm’s litigation department, resident in the Washington, D.C. office. Mr. Fleishman has a leading reputation in defending energy and financial industry participants in energy markets against charges of market manipulation, particularly before the Federal Energy Regulatory Commission and other regulatory bodies, and advising companies on the energy regulatory and compliance aspects of energy transactions. His deep knowledge of the electric and gas regulatory and enforcement landscape informs his representation of clients on energy regulatory, enforcement, compliance, transactional, commercial, legislative, and public policy matters and activities. 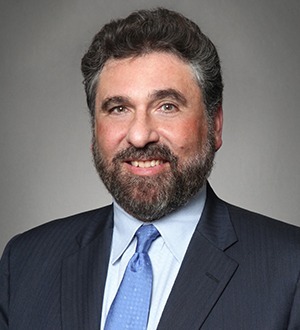 Bob has been recognized for his expertise in energy regulatory law by Chambers USA (2010-2016), Best Lawyers in America, Energy (2007-2017), and Legal 500 US (2008-2010; 2012-2013; 2015-16). Mr. Fleishman also received the Paul E. Nordstrom Service Award from the Energy Bar Association (2016), and Center for the Advancement of Energy Markets Service Award (2005). Mr. Fleishman is admitted to practice in the District of Columbia.